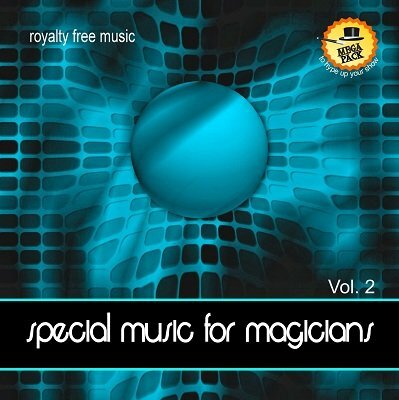 Special music for magicians is great to polish your show. It is wonderful music for magicians, artists, videoprofis and multimedia creators. This package is 100% royalty-free, so you can use it for commercial and non-commercial purposes without having to pay any extra license fees. (For details see license below.) Also free to use for presentations, advertisement, homepages, image films, podcasts, public acoustic irradiation, TV and more. Volume 2 includes a total of 34 tracks. All music tracks, sounds and FX from this download package are licensed to you "Royalty-Free" so you can use them in your commercial productions with no extra charge. The download package is licensed, not sold to you. All rights not expressly granted to the user are reserved. Only the original purchaser of the product has the right to use our royalty-free music for commercial or non-commercial nature. This license can be applied any place and any time. So use our royalty-free music in your projects such as background music for websites, presentations, shows and other public sound applications, private online movies, Youtube, MyVideo, viral online movies, radio/cinema, commercials, advertising campaigns, image films, product movies, exhibitions & events, editorial movies, online-TV, deposit of telephone information services, phone waiting loops, corporate podcast, online-flash-games or mechanical duplication for integration into your projects as movies, DVDs and games up to 2.000 pieces and integration into apps up to 10.000 downloads. You are not allowed to sell our royalty-free music as music or make it available in any music portal. This package is to be used in conjunction with the themes listed above. This license is not transferable.